TUESDAY, Feb. 28, 2017 (HealthDay News) -- Thanks to high-tech imaging, mammograms ordered when breast cancer is suspected are catching more tumors -- but the percentage of false alarms is up, too, a new study finds. These so-called diagnostic mammograms are performed because of certain symptoms or other suspicious findings. They are not the same as routine screening mammograms, said the study's lead author, Brian Sprague. The new study found the breast cancer detection rate rose to nearly 35 per 1,000 diagnostic mammograms from 2007 to 2013. That's up from 25 per 1,000 noted in a 2005 report from the Breast Cancer Surveillance Consortium. This higher detection rate probably reflects the switch from film to digital technology, which permits identification of smaller lesions, said Sprague. He is associate professor of surgery at the University of Vermont College of Medicine. "About 99 percent" of exams are now done digitally, he estimated. But it's concerning, he said, that the rate at which women called back for a biopsy -- surgical evaluation of the suspect tissue -- rose to over 12 percent from 8 percent in the earlier report. "When they do recommend a biopsy, the probability of it being cancer now is lower than it used to be," Sprague said. In other words, the anxiety, inconvenience and discomfort of biopsy may prove to be unnecessary, he said. But, Dr. Debra Monticciolo, chair of the American College of Radiology Commission on Breast Imaging, isn't troubled by that higher biopsy rate. The improved cancer detection rate is the important finding here, said Monticciolo, a professor of radiology at Texas A&M University in College Station. "They have seen a marked improvement in cancer detection rates," Monticciolo said. The rise in the number of biopsies "was not unreasonable," she added. Sprague and his colleagues used information from six registries maintained by the Breast Cancer Surveillance Consortium, which is funded by the U.S. National Cancer Institute. 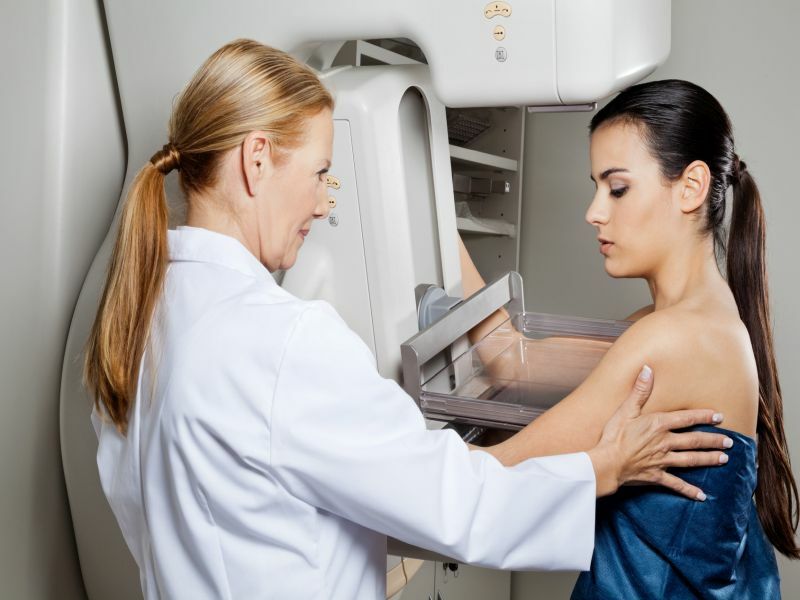 The investigators evaluated results of more than 400,000 mammograms, reviewing data from more than 400 radiologists and 92 radiology facilities. The total is roughly representative of the United States, Sprague said. The exams were conducted on more than 265,000 women. The investigators found that 27.5 percent of the women who had a biopsy actually had cancer, compared to 31.5 percent in 2005. The study's purpose was to gather statistics, not to determine how to improve the rate of "false-positive" imaging results, the study authors noted. The researchers did compare the findings to established "benchmarks," or standards. They found that about 90 percent of the radiologists performed even better than the benchmarks when it came to cancer detection rates. But only about 65 percent met the established standards for the probability that women with a positive diagnostic mammogram turned out to have cancer, he said. The report was published online Feb. 28 in the journal Radiology.